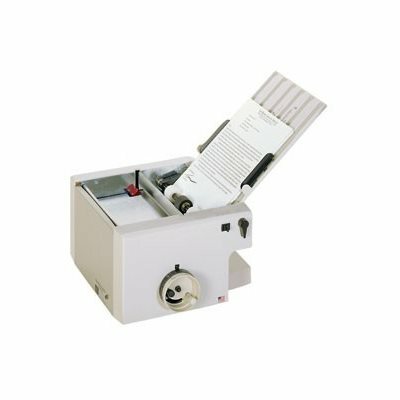 Profold Super Elite 500 Vacuum Folder - Roberts Business Machines, Inc. The Super 500 model fold rollers are made of proprietary urethane material that gives the rollers longer life. 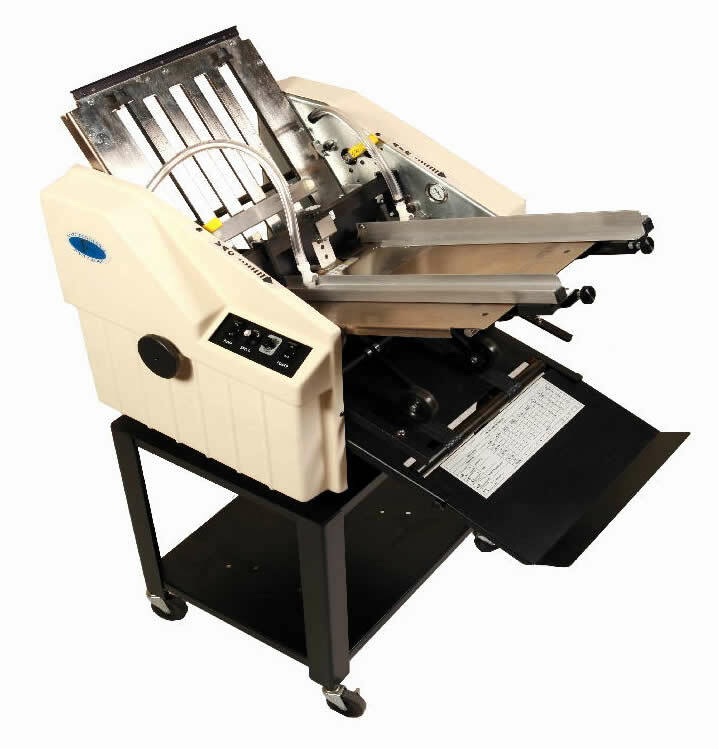 The main roller is grooved in a manner that forces laser toner and ink to the sides of the rollers thereby reducing roller clean-up time. It also reduces marking on most folded product and allows trapped air caught between the paper and the roller to escape providing a tighter fold. 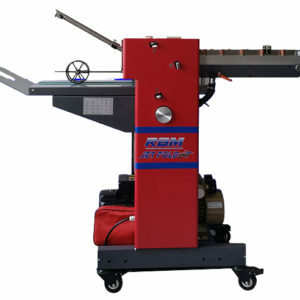 The roller material has a better gripping surface for handling a wide variety of media substrate. The Super 500 has skewable paper side guides, a Profold first, that are designed to allow skewing of the guides to compensate for variance in the ‘squareness’ of the paper stack. Skewing the paper side guides to maintain a square fold is much more effective than adjusting the fold plate paper stop. Micro adjusting screws allow adjustments to be made while the folder is running. 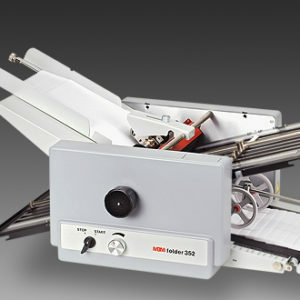 The Super 500 can feed and fold up to 36,000 sheets per hour in tri-fold or half-fold formats. 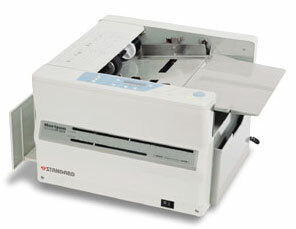 An electronic counter is standard with the Super 500.